The ABC has moved house to soon be followed by Seven, Nine and possibly Ten. 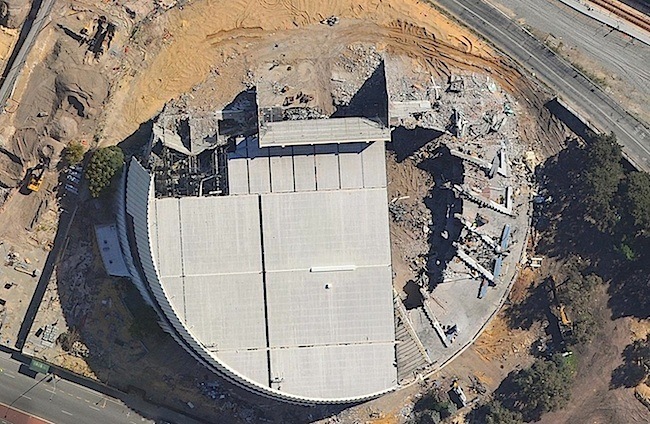 Moving, demolition and rebuilding seems to be all the rage in Perth at the moment. 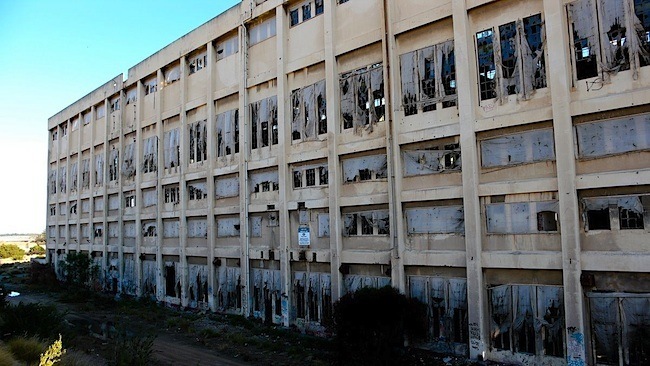 A number of concerns do so because they want to, some to improve profitability, others disappear because they’re unfashionable, while the odd not-for-profit effort is left begging for a home as former government buildings sit empty, idle and often decaying. Times are a little crazy at the moment as familiar places are being pulled down with old landmarks turned into housing estates. In some ways the city has done a swap with the suburbs, as recent years have witnessed it evolve into an inner suburb with much of the retail sector relocating to the big shopping centres circling Perth. People who’ve been away from WA for some time are going to have a problem recognising it. The central business district is also on the move with Raine Square shooting up from nowhere to be a 44,000 square metre office and a 13,000 square metres retail project in the heart of the new Perth, incorporating two existing hotels and heritage facades, which will connect to the new city centre, once the railway is sunk. 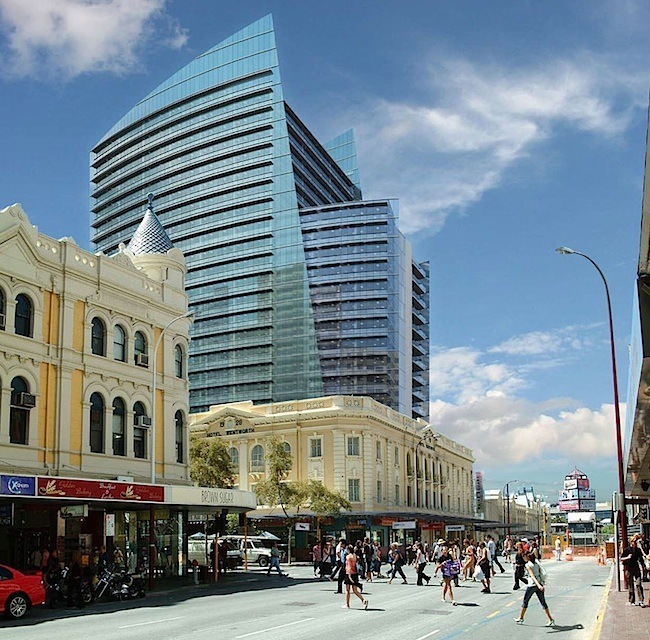 Across William Street is another redevelopment creating a new business and shopping precinct, bounded by Wellington Street, William Street, Forrest Place and Murray Street Mall, with access to the Perth underground railway station on the north/south line. 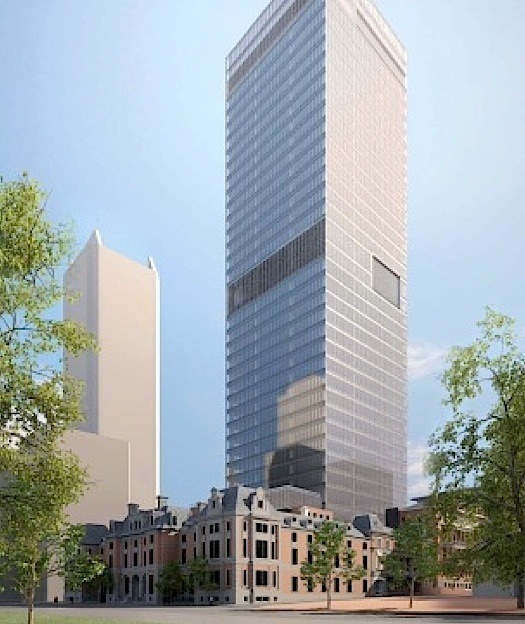 It includes a three-tiered, high rise building of six, 15 and 20 storeys that provide approximately 36,000 square metres of office space and 8,000 square metres of retail space. This includes fully restored and refurbished heritage buildings, the Globe Hotel, the Wellington Building, and the Baird’s Building in Wellington Street, along with the facade of the Mitchell Buildings, all woven into the new development. No longer will the Hay Street Mall and arcades through to Murray Street be the city shopping focus. Boutique shopping has moved into once quiet streets which housed warehouses for wholesalers supplying the retail sector, for there is now high rise residential intermingled with shops and offices up the western city extremities of both Hay and Murray Streets, punctuated by the Mitchell Freeway. All across town we’re seeing things demolished or disassembled, such as the Perth Entertainment Centre, the former ABC TV studios, Perry Lakes Stadium, the asbestos riddled museum building in Perth, the Fremantle History Museum giving way to an enlarged Arts Centre, the deaccession of the Wireless Hill Telecommunication Museum and the proposed redevelopment of the television media district in Dianella for residential use, whilst at the same time new structures are appearing such as the Perth Arena, sinking of the railway, the new performing arts centre taking over from the Playhouse, the proposed sports stadium in Burswood, a new Museum building for Northbridge, the Perth waterfront project, and to the east and west, a residential area with high rise luxury accommodation. All this is happening at a time when Europe and the United States are experiencing economic woes and Western Australia is riding a Chinese driven resources and mining boom. The risk attached to this is that when a new broom sweeps clean, it might also toss the baby out with the bathwater. During earlier mining and consequent building booms in the 1960s, 1970s and since, most of Perth’s grand old theatres were either closed or demolished. The Ambassadors, the Capitol, the Metro, the Grand, the Royal, Cinema City, Mayfair, Savoy, Liberty, Cine Centre, Town Cinema, Hoyts Cimemas 1, 2 and 3, the Academy/Lumiere Twin Cinemas, the IMAX, with only the Plaza theatre in mothballs and heritage listed. 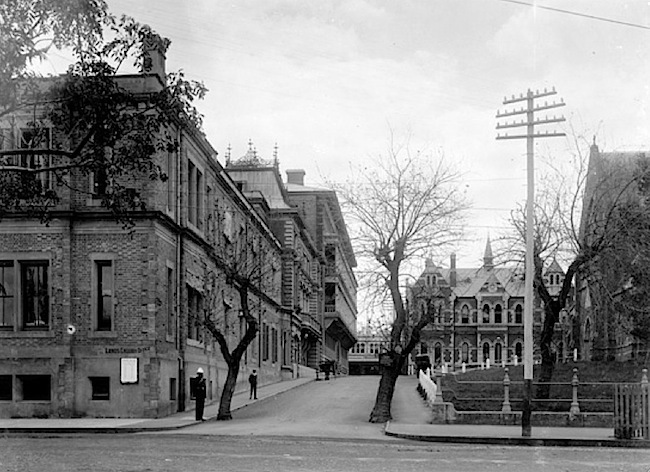 At the same time many of Perth’s distinguished buildings disappeared. 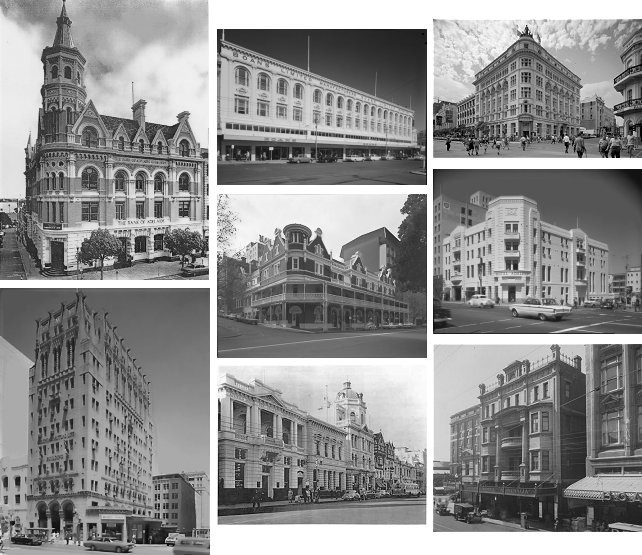 The Barracks, the Adelphi hotel, the Esplanade Hotel, the Shaftesbury Hotel, the Australia Hotel, The King Edward Hotel, which later became the Paddington and then demolished for the Kings Hotel, insurance buildings such as the T and G, AMP and CML, department stores such as Boans, Foy and Gibson, and the former David Jones, most of St George’s Terrace and Adelaide Terrace, William Street and much of Murray Street. With all the development focus on Perth at that time, the port city of Fremantle was largely forgotten. This proved the saviour for much of Fremantle’s architecture, which achieved a renaissance during the unsuccessful 1987 America’s Cup Defence staged by the Royal Perth Yacht Club in Gage Roads. The city’s charming colonial sandstone buildings were spruced up and everything else given a coat of paint. Visitors commented that it looked like a period movie set, or a walk down the main street of Disneyland. It was not only a busy period for tourism, but also a hectic time for the television stations and the media covering the prestigious yachting event. Since then, over 150 of Fremantle’s buildings have been classified by the National Trust and over 3000 properties heritage listed in the area. Unfortunately, Perth was not as lucky as a lot of destruction took place before the Heritage Council of WA was established under the Heritage of Western Australia Act (1990). 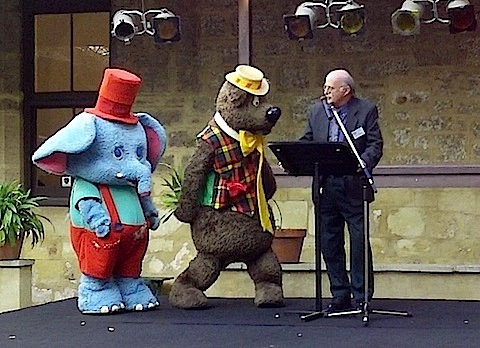 The Council now maintains the WA Register of Heritage Places. Earlier, a group of concerned Perth citizens identified the need to promote conservation and The National Trust of Australia (W.A.) was established in 1959. Some five years later an Act of Parliament was passed in the State Parliament which formally established the Trust as an independent community based organisation that reports directly to the Western Australian Parliament. The broad intent of the National Trust of Australia (WA) Act is to manage heritage places for the purposes of public education and public utility, properties that remain in public ownership for the ongoing benefit of the Western Australian community. This has not stopped Perth from being riddled with a lot of abandoned buildings which suffer at the hands of vandals and graffiti artists, with many heritage places in danger of demolition by neglect. Two such complexes that suffered in this manner were former institutions for the insane. The first was the Fremantle Lunatic Asylum and the second its replacement, The Claremont Mental Hospital, which was constructed as a more humane replacement for the Fremantle Lunatic Asylum, where patients were treated as prisoners. 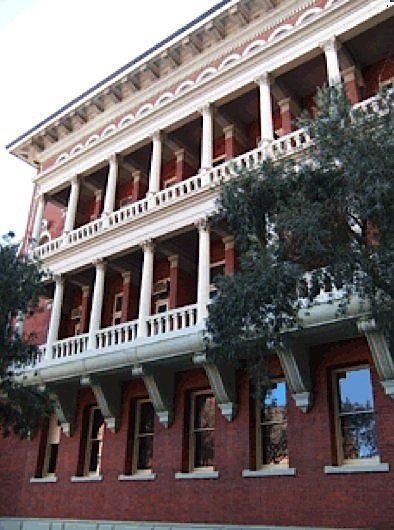 The Fremantle building was then put to other uses from an Old Women’s Home to the WA headquarters of the American armed services during World War II, and as an annexe of Fremantle Technical School, and then idle for many years until the Education Department proposed its demolition. Fortunately this was halted as a result of a public outcry and opposition campaign led by the Mayor of Fremantle, Sir Frederick Samson. Eventually the old asylum building was lovingly restored in 1970, after years sitting abandoned and derelict. For a time it housed the Western Australian Maritime Museum, which is now relocated to grand accommodation at Victoria Quay, where among other things it exhibits the yacht Australia II, which won the America’s Cup in 1983. 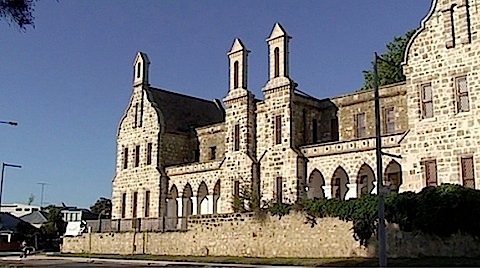 The former Fremantle Lunatic Asylum is now the Fremantle Arts Centre, and for a time also housed the Fremantle History Museum, and the Light and Sound Discovery Centre. In 2009, both the Museum and Discovery Centre closed due to WA government budget cuts, with the museum objects and artefacts moved to the WA Museum’s Welshpool collections and research centre. The objects relevant to the Fremantle region will be relocated for exhibition in the WA Museum’s two other sites in the area, WA Museum – Maritime at Victoria Quay and the WA Museum – Shipwrecks Galleries in Cliff Street. The Light and Sound Discovery Centre now conducts limited activities at Wireless Hill and other venues. 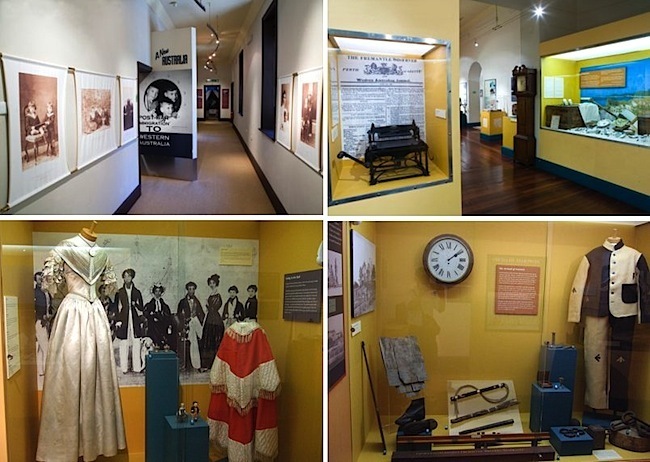 Meanwhile, Fremantle has lost a museum gallery devoted to telling and illustrating the story of the city and its inhabitants. An exhibition that was changed each three months. 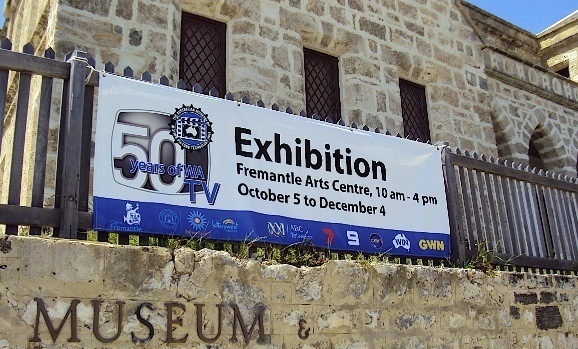 The loss of the Discovery Centre has also denied school children an excellent educational venue in Fremantle, which covered everything from the origins of photography, motion pictures, sound recording, wireless, television and all the related events which have moulded our culture from the 1800s. 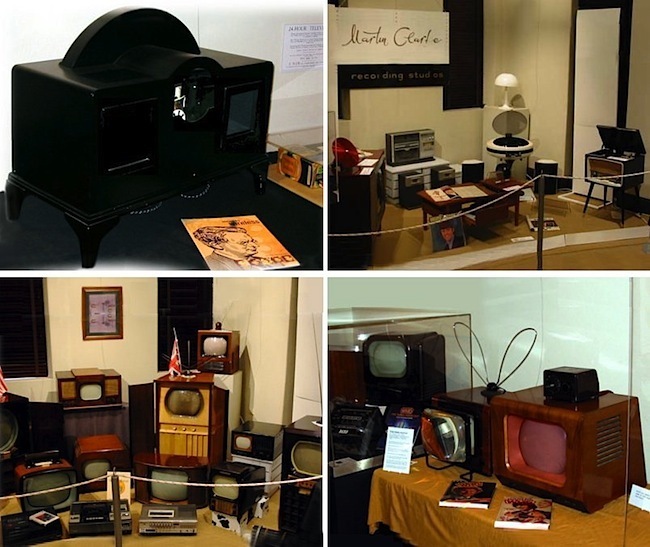 The Australian Museum of Motion Picture and Television (AMMPT) also held its “50 years of television broadcasting in Western Australia” exhibition at the former Fremantle Lunatic Asylum, before the Fremantle History Museum closed down. The activities at given sites change over time, as society and practices vary with needs and expectations. 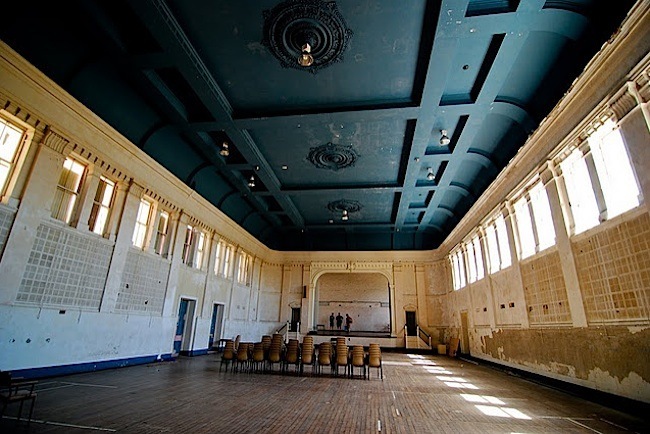 Establishments change too, such as The Claremont Mental hospital, which was once the major state administered mental institution in Western Australia from 1904 to its closure. It started as Claremont Hospital for the Insane, became Claremont Mental Hospital, then Claremont Hospital, and finally Swanbourne and Graylands Hospitals. At its peak in the late 1960s, this massive hospital complex was home to some 1700 patients, but a few years later Claremont Hospital closed its doors for good and split itself in half: Swanbourne Hospital for people with psycho-geriatric and developmental disabilities, and Graylands Hospital for people with acute mental illnesses. By 1986 the care for the intellectually handicapped had been given over to a specialist agency and the elderly were placed in purpose built units spread over the metro area to make visiting easier for relatives. Unfortunately, there were a number of incidents where released patients caused a range of social and security issues. The hospital was shut down after the health department ceased use of the buildings in 1987. They have been essentially vacant since. 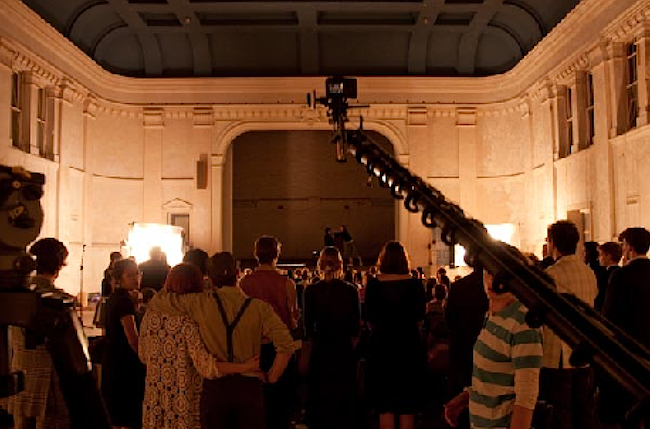 Though at one point the restored ground floor of the south-wing building was occupied by the Western Australian Music Academy, and Montgomery Hall used as a movie set and as a gymnasium. The site also had a cinema from the 1920s, with a projection box constructed on the northern end of Montgomery Hall. The screen was erected in front of the proscenium, so that film evenings could entertain both patients and staff. There still exists a proscenium with raised and raked stage floor and ‘fly’ space at the southern end of the hall, it was once the second biggest theatre venue in Perth. Throughout the history of the site, Montgomery Hall was used as a dining hall and a recreational space for patients. 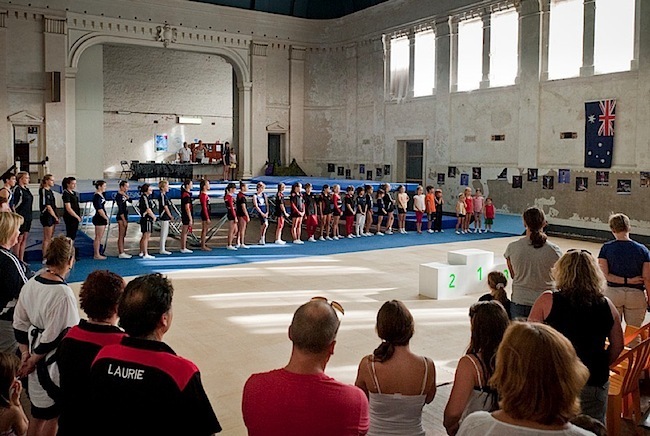 The Hall was used more recently by the Gymnastics Association and was transformed into an Italian theatre for three weeks in January 2010, creating a movie set for a local short film named “Trigger”, that later screened in the Short Film category of the Cannes Film Festival. 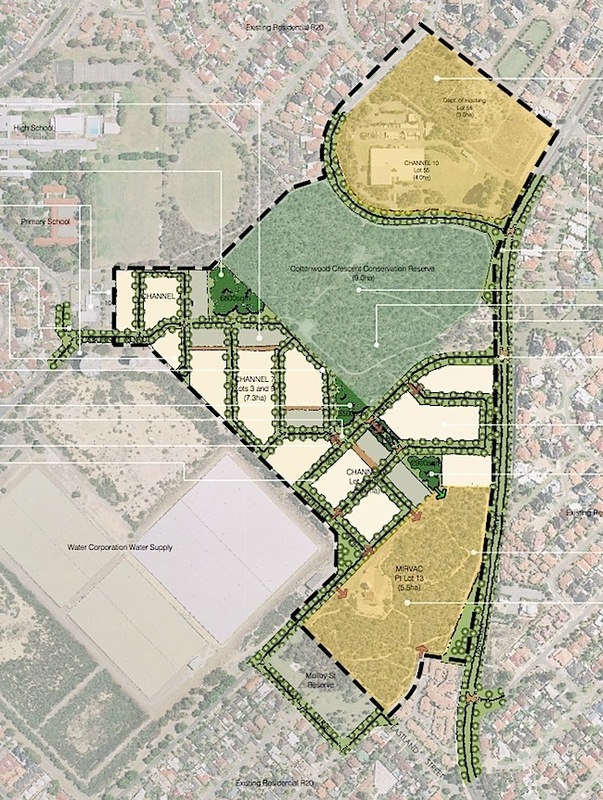 In 1986, thirty two hectares of land, at the foot of the scarp, was transferred by the State Government for the development of the present John XXIII College, and the bulk of the remaining land was subdivided for residential purposes. This new suburb of Mount Claremont is within the Town of Cambridge and the City of Nedlands. It consists of estates mostly built in the late 1980s and early 1990s. It was known as Graylands until 1988, but was renamed due to its association with the Graylands psychiatric hospital. 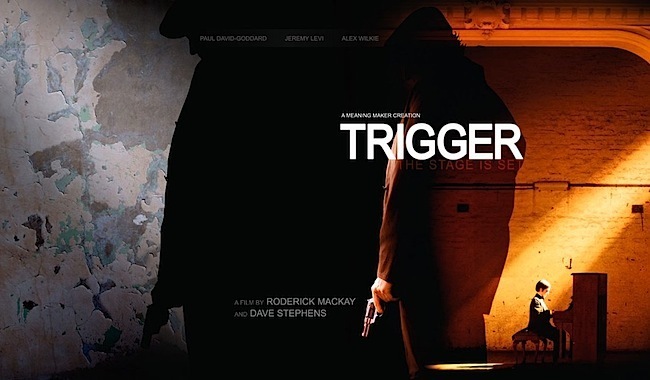 One famous patient of Graylands was David Helfgott, the Australian concert pianist well-known for being the child prodigy who won the state final of the ABC Instrumental and Vocal Competition six times, to then suffer a schizoaffective disorder and became the subject of the 1996 Oscar-winning film “Shine”, starring Geoffrey Rush and Noah Taylor. Another patient, Annie Dorrington, is remembered for being one of a small group of artists who designed the Australian flag in 1901. 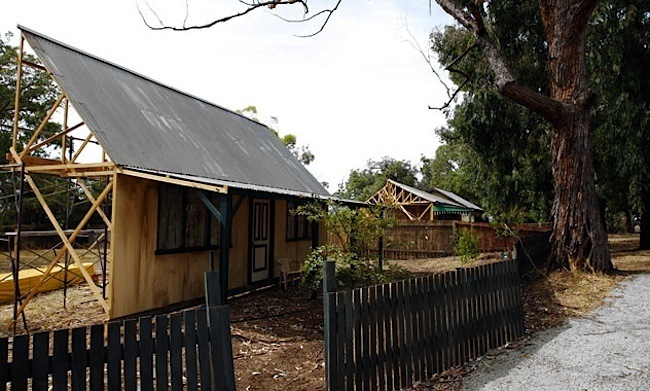 The issue of the remaining buildings and the heritage-listed Montgomery Hall has been going on for more than 20 years, but due to the lack of use, the buildings have been subject to weather damage and vandalism. Then people of low scruples used a chain saw to remove an entire jarrah staircase. The continued looting resulted in many other interior fixtures and fittings being stripped, as well as the lead off the roof and all the jarrah wall panelling. Allegedly dozens of homes now illicitly include architectural features from the original buildings – marble fireplaces, door handles, window fixtures, the decorative air-vents from the roofs. 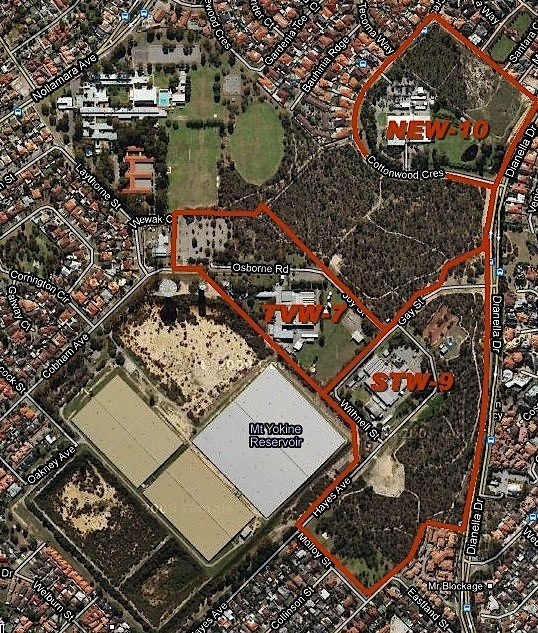 In 2003, town planners were engaged to undertake a study and public consultation on the future use of the buildings, resulting in a development plan with The City of Nedlands rezoned it as “Special use”, then in 2005 the site was offered for sale by public tender. 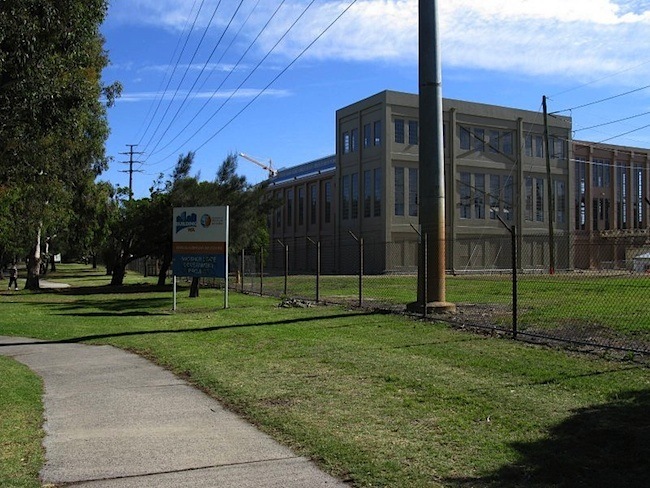 The site was sold in January 2006 for $6.65 million to Sealcrest Pty Ltd. Arguments have since ensued regarding the developer’s vision and how the plan should be varied to accommodate this. Another former hospital is also sitting in limbo. 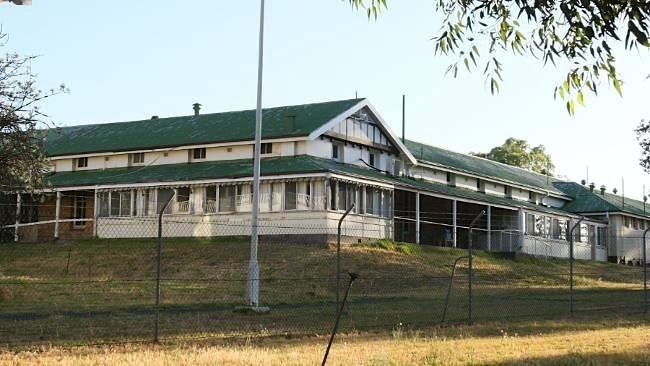 The 1904 Sunset Hospital, formally known as the Claremont Old Men’s Home in Dalkeith, is on an 8.2ha parcel of prime riverfront land in one of WA’s most expensive suburbs, worth an estimated $100 million. It was a facility specifically designed to house the poor and sick, which lobby groups now suggest be redeveloped for housing. 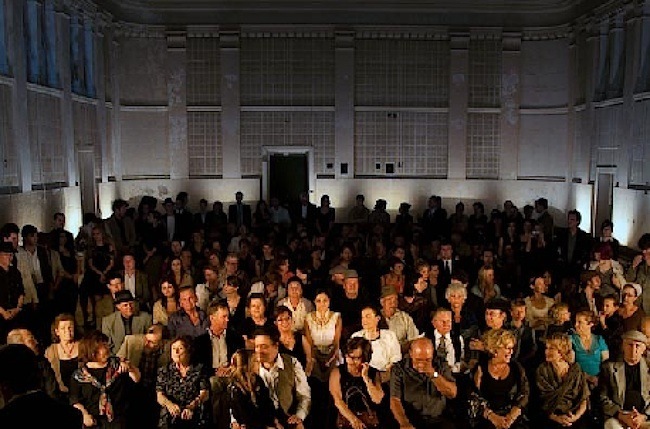 Previous Liberal and Labor state governments hatched plans to subdivide part of the land and turn the buildings into museums and galleries, though nothing seems to have eventuated in more than a decade. 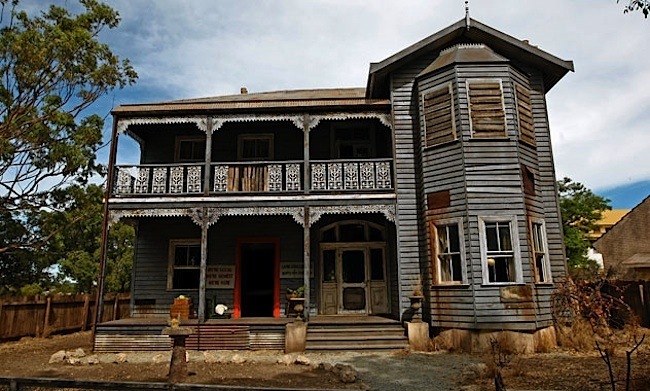 Though the site was used recently as a set to film the award-winning Tim Winton novel “Cloudstreet” for pay-TV channel Showcase. It seems convoluted mechanisms, disagreements, procrastination and ongoing indecision are part of the normal process with such properties? This appears to be a common theme with much former government real estate that remains idle, as new accommodation is sought elsewhere. This practice could soon change with the latest plans for Perth’s old Treasury buildings. 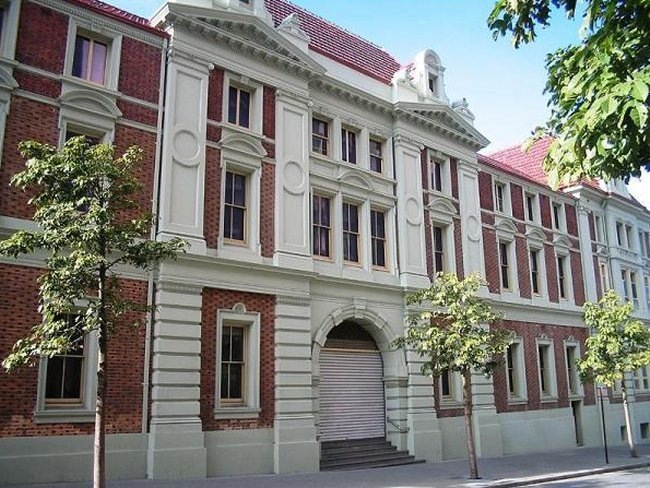 Successive governments have for many years debated the future of the old Treasury buildings on the corner of St George’s Terrace and Barrack Street, which has been described as Perth’s finest abandoned real estate. 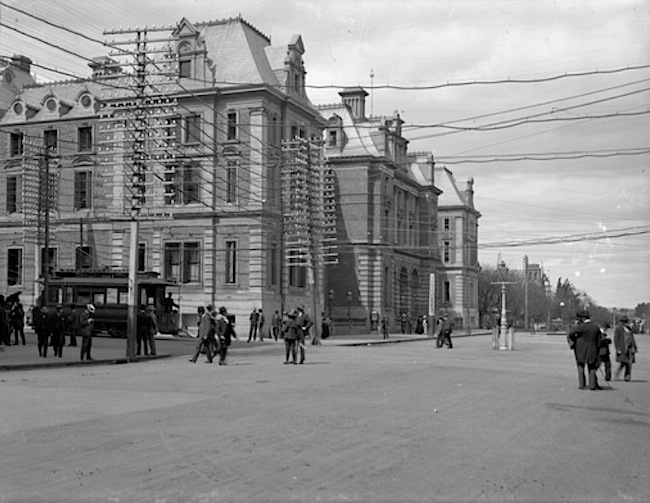 The building, started in 1874 and completed in 1889, was the State’s first government office complex, housing the Post and Telegraphs Office and the General Post Office from 1890 to 1923, until the present GPO in Forrest Place was opened. It was occupied by the state government for over a century, to then be abandoned in 1996. 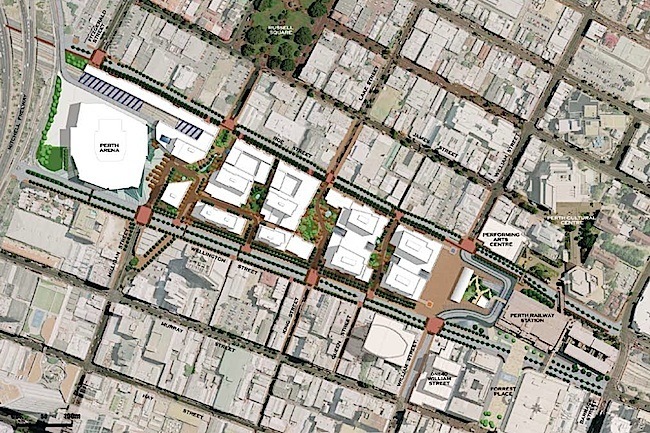 Now the government has a new vision for the area which comprises of a $580 million redevelopment of the site, including a 29,000 square metre 35 storey office tower and a six-star boutique hotel in the heritage listed buildings, as well as the demolition of the adjacent Law Chambers to enable development of a new City of Perth Library. This should also allow the former Lands Title Office to become visible from the street. The Public Trustee Building is to be fully refurbished to deliver a 8,000 square metre office facility, and underground parking to service all the buildings. 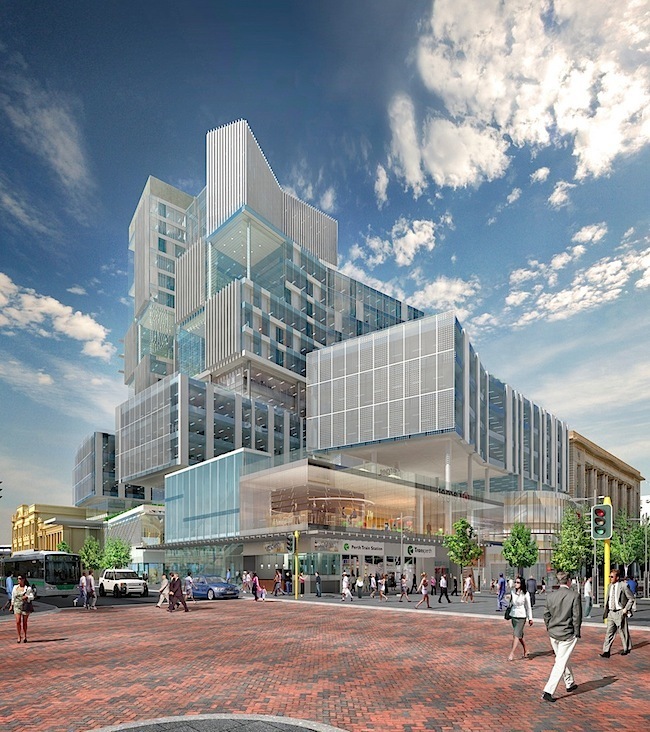 The State Government is likely to become the anchor tenant of the proposed office tower, which may also be the new home for the WA Supreme Court. This project is a key component in the Government’s office accommodation strategy of consolidating about 5,000 public servants in 22 departments and agencies from 17 locations to four office blocks and smaller Government-owned heritage buildings. Meanwhile in 1981, after 68 years of continual service the East Perth power station was closed. It was left abandoned and neglected until 2003, when the state government approved funding to stabilise the fabric of the building. In 2006 this work was completed, yet 5 years later a viable future for this important heritage place has yet to be determined. 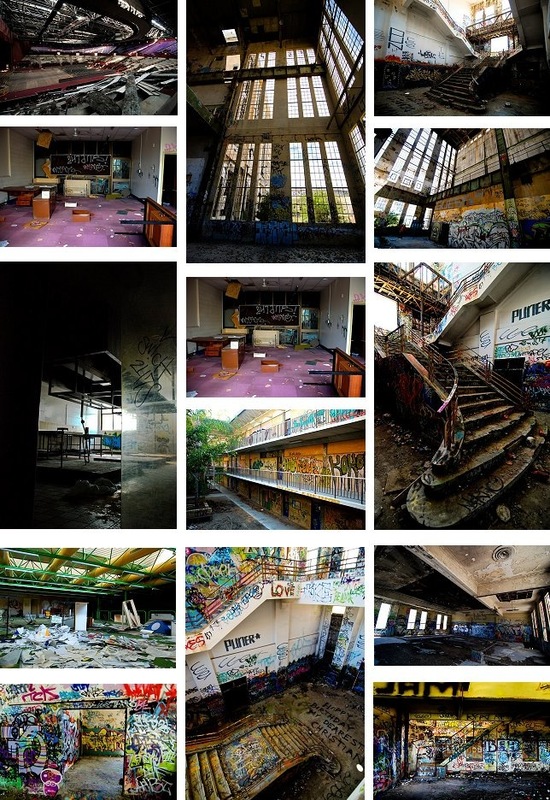 The South Fremantle Power Station, which was built in 1946 and abandoned in 1985, is also stripped of its plant and equipment, sitting derelict and constantly being vandalised. It was the second and largest purpose-built thermal power station in Western Australia and is a good example of an Art Deco Industrial structure. No matter if the building is heritage listed, if it is left unattended for a prolonged period, it will gradually be destroyed by scavengers, vandals, graffiti artists and the weather once the building is exposed to the elements. 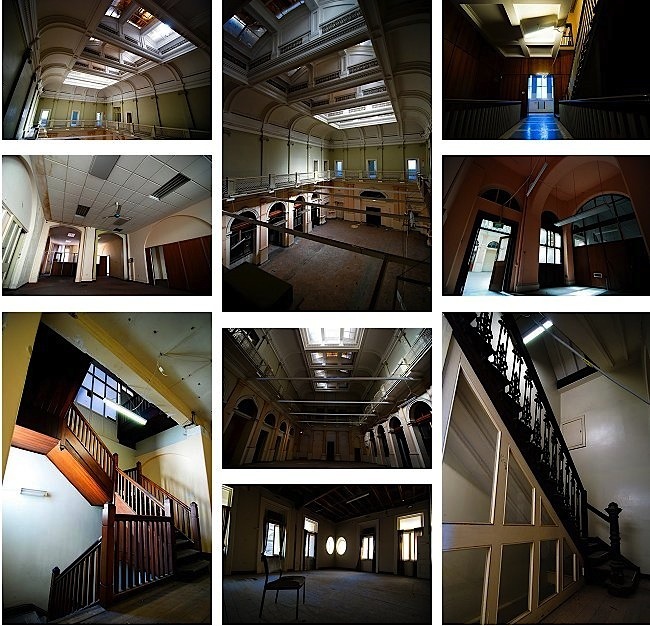 All but one of the images below represent abandoned Western Australian state government buildings that were okay when first closed, but are now going to ruin through neglect. Big buildings such as colleges, hospitals and power stations. 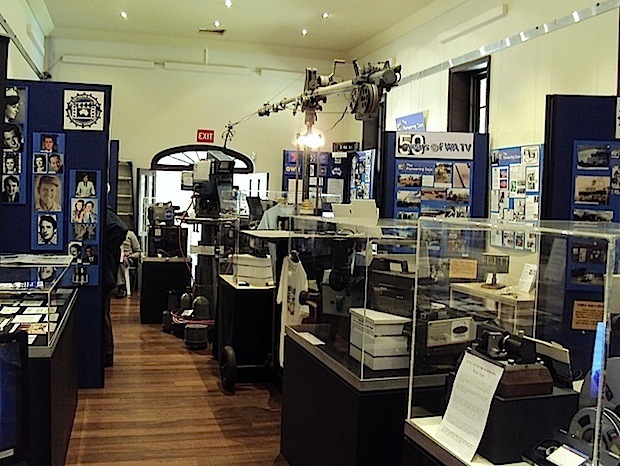 Meanwhile the Australian Museum of Motion Picture and Television (Inc.) has been seeking a home for the last decade, without success. It seems remembering our immediate cinema, radio and television past is not a high priority either.